General Intention: That the Church may appreciate the urgency of formation in spiritual discernment, both on the personal and communitarian levels. Is Pope Francis still a Jesuit? It’s a good canonical question, because if you define a Jesuit as a man under obedience to a Jesuit superior, then Francis is no longer in that position. On the other hand, his Jesuit spirit can be seen time and time again in his public statements and his prophetic actions. Discernment is a very strong Ignatian theme. Incidentally, the word “Ignatian” signals that we are talking about something which belongs to the whole Church and is not just the private preserve of Jesuits. And, of course, St Ignatius, the founder of the Jesuits, did not invent spiritual discernment — it is an abiding theme in Christian spirituality. What he did do was to provide a systematic approach to it and a context in which it could be easily understood and practised by any serious believer. The context is the Spiritual Exercises, the Ignatian retreat whose fundamental aim is to help the retreatant discern the will of God for their life. Ignatius explains that there are basically two categories of “discerner”. The first is someone who is free to make a life-choice, for example whether God wants him or her to be a religious or a priest or a married person. Ignatius believed that if such a man or woman does the Spiritual Exercises, truly desiring to find the will of the Lord for their life, the grace of clarity will be given. The second category is the person who is already committed to a particular way of life; for example a bishop or a married person. However, within those existing commitments, a great deal of freedom of choice still exists. A married person or a priest who comes on an Ignatian retreat seeking to serve the Lord more generously, will strive to discern ways to deepen their commitment and choose the important options within the commitment that can transform it. Such a discerned choice might be something as simple as putting aside a set time of prayer each day and aiming to make it deeper than, say, the recitation of devotions. “What would happen in the Church if every priest nourished his celibate ministry with 30 or 40 minutes of contemplative prayer each day?” asked Bishop Daniel Pilarczyk of Cincinnati, at the US bishops’ plenary in 1980. Or, a bishop might discern clearly that, because his first responsibility is the care of his priests, he needs to cut down on other calls on his time. Or, a married man might see, before God, that the offer of moving to a more lucrative level of management in his business is not actually good for his family life and his health, and would choose to decline it. Or a priest might see that the poorer parish that the bishop was suggesting to him is a gift from the Lord which would change his life. Of course, the person is not alone or isolated in the process. The retreat director is always at hand. One of the most delicate tasks of the director is to help with the timing of what Ignatius calls the “election”, that is, the practical decision which comes out of the discernment process. This would normally occur in the latter half of the retreat and then, in the rest of the time, the “election” would normally be confirmed. These are examples of personal discernment. St Ignatius and his companions also practised discernment as a community. It was particularly important for them when they were still unsure whether God wanted them to form a religious order. Their communal discernment required them to focus their private prayer on the questions before them and to come together to discuss where they felt God was leading them. The discourse was less about argument and debate and more of a weighing of the way they felt the Holy Spirit was moving them as a group. Many of us aspire to discernment today — and use the word quite glibly — but we probably need to put more consistent time and prayer into the process to discern more deeply and surely. 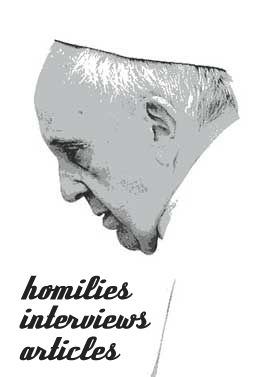 You can find a short but inspiring video on this theme featuring Pope Francis himself on www.thepopevideo.org. Next story Pope: May Your Time and Space be Filled with Meaningful Relationships! Previous story Keep Going For Lent Girls!